Paul Kostin is 1,000-316 in his 32 coaching career. RICHMOND, Va. – Outside Paul Kostin’s office is a large display case that is home to more than two decades of VCU Tennis trophies – the ones that would fit, anyway. A couple of years ago, with no more room left in the display case or in Kostin’s office, new trophies started piling up on a table behind the receptionists’ desk. It doesn’t appear as if this trophy-space issue will rectify itself anytime soon. On Sunday, Kostin brought home another souvenir from Cincinnati, where the Rams won their first Atlantic 10 Conference Men’s Tennis Championship 4-3 over George Washington. The victory was the 1,000th of Kostin’s 32-year coaching career, a milestone reached previously by just three other Division I coaches. While he hasn’t done it alone, Kostin, 1,000-316 overall at VCU and Arkansas-Little Rock, certainly has done it his way. A native of Stockholm, Sweden, the 59-year-old Kostin is tough without being taxing. He cares deeply about his players, but he’s careful not to coddle them. He’s not afraid to say what’s on his mind, but he’s also usually the first person in line to provide a former player with a glowing reference. The 1,000 wins, the 22 conference titles, the 30-plus NCAA Appearances, the All-Americans, it all never meant that much, Kostin insists. It’s because he never saw the wins or the awards that came with them as the finish line. To Kostin, they’re checkpoints on the road of life. 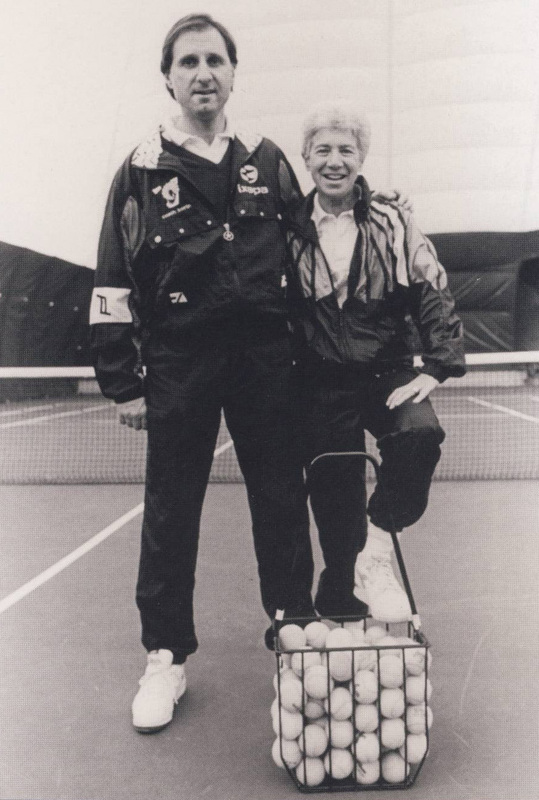 In 1990, after nine successful seasons as head coach at Arkansas-Little Rock, where he also starred as a player, Kostin was tapped by then-VCU Athletic Director Dr. Richard Sander to infuse life into the school’s moribund men’s tennis program. In the two seasons prior to Kostin’s arrival, VCU finished a combined 6-34. Kostin with late VCU Women’s Tennis Coach Eva Bard. Kostin took over the women’s program in 2002. In Kostin’s first season, with a retooled roster of transfers from Arkansas-Little Rock and newcomers from Europe, the Rams finished 22-5. In 2002, Kostin also assumed the reigns of the women’s program. He has never posted a losing season with either. In 2000, the men’s team stormed to the NCAA Championship match before falling to Stanford, the closest any VCU program has come to winning a national championship. For all the victories, Kostin is still happier talking about the success his players have had off the court, guys who arrived from Europe with spotty English and left four years later with 4.0 GPAs, or guys like Boris Kodjoe, a blossoming Hollywood star, or someone like Fredrik Eliasson, now the chief financial officer at CSX. Eliasson was Kostin’s first VCU recruit and recalled the coach’s direct, but substantive ideas for the program. From the day he signed Eliasson in 1990, Kostin raised the level of VCU’s recruiting to that of a top 25 program. With deep ties all over Europe, the VCU Coach is able to tap into any number of tennis hotbeds. But Kostin has resisted the thought of stocking his rosters with a bunch of mercenaries. He wants players who are as serious about school as they are the hardcourt. That didn’t mean Kostin was a pushover on the court. You don’t win 1,000 times because just because you like spending your afternoons in the sun. Paul Kostin does not like to lose. 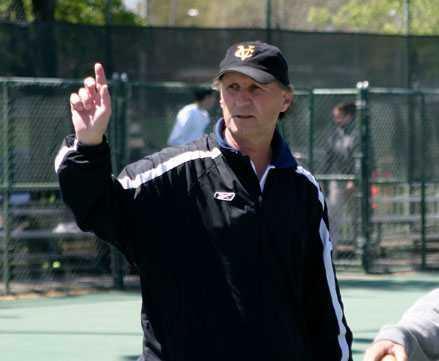 On the contrary, the VCU Coach sees tennis as a tool for teaching life lessons. If players can master the skills necessary to succeed in tennis, they can use those skills for the rest of their life. Kostin, who can be both funny and fiery, says he’s mellowed over the years, but don’t expect him to slow down too much. Five years ago, he suffered a small heart attack while playing tennis that required two stents to unblock and artery. Afterwards, he found out he liked being coddled about as much as he likes coddling others. While he remains active and watches his diet, there’s only so much VCU’s 1,000-win man can pump the brakes. It’s not in his DNA, which is why Kostin sounds like a man who plans on coaching for a long time. Outstanding article!! We need more people with these values in the world… well done Coash Kostin! !